Pilates is a system of exercises designed to improve strength, flexibility, posture, and enhance mental awareness. It incorporates strength training, stretching, aerobic elements and calorie burning on mats and special machines. The Pilates method was created for dancers and results in longer, leaner limbs, a better-aligned spine and a toned stomach area. You will love the way you look and feel after you start practicing Pilates in beautiful South Lake Tahoe! Pilates therapeutic exercise is provided FREE to patients as part of their therapy regimen. Because Pilates focuses on flexibility, posture and core strength, it is ideal for addressing back pain. A 2006 study on 39 physically active subjects ages 20-55 with chronic low back pain put Pilates to the test. The Pilates group participated in a 4-week program consisting of training on specialized Pilates exercise equipment, while the control group received the usual care (consultation and treatment under specialists and healthcare professionals). The individuals in the specific-exersice-training group reported a significant decrease in Low Back Pain (LBP) and disability, which was maintained over a 12-month, follow-up period. Treatment with a modified Pilates-based approach was more efficacious than usual care in a population with chronic, unresolved lower back pain. 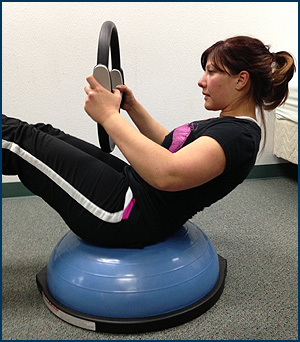 Mind Body Physical Therapy in South Lake Tahoe can help you reduce or eliminate your back pain. Using our unique combination of specialties and expertise, we can develop a personal care plan to improve your quality of life. Getting started is easy: stop by the office or contact us for a free consultation. Exercise while protecting your back and your baby! The American College of Obstetricians and Gynecologists (www.acog.org) recommends that expectant mothers exercise for 30 minutes on most, if not all, days of the week. 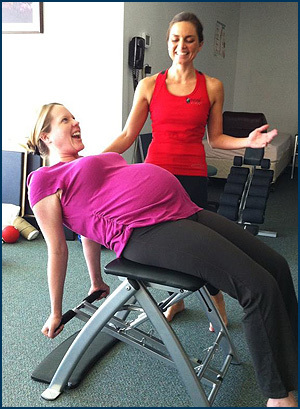 Practicing Pilates is a great way to exercise while protecting your back and your baby during pregnancy! Pilates focuses on abdominal tone and stability in order to facilitate the optimal position of the baby, to prevent the common discomforts associated with pregnancy, and to promote a healthy delivery. You will learn a variety of abdominal exercises which also help to activate the pelvic floor musculature, the deep spinal muscles and the deep hip musculature, all of which are vital for the maintenance of good posture and a healthy back during pregnancy! 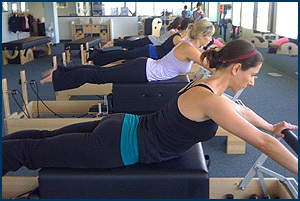 Schedule a private or semi-private equipment class with BASI certified Pilates instructor Christina Frohlich. Ask your primary care physician if you are appropriate for a referral to physical therapy for comprehensive treatment along with a Pilates-based exercise program.